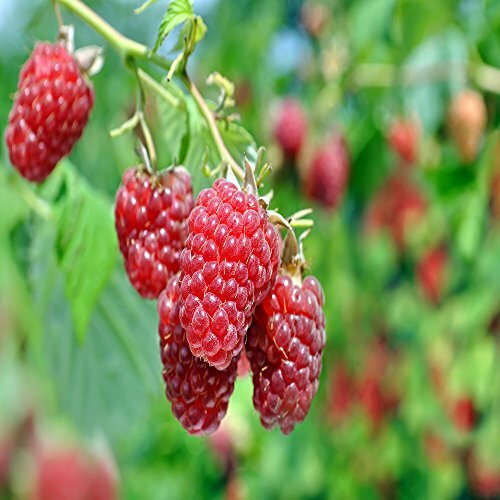 The Dorman Red Raspberry Plant is vigorous and productive raspberry bush especially excellent to be grown in the deep South, where heat and heavy humidity can adversely affect normal successful raspberry growing. The Dorman Red Raspberry Plant is ever-bearing, with harvesting beginning in June and lasting until frost, and some of the vines trail along the ground and others are erect growing, usually requiring some type of staking to prevent the berries from touching the ground and vulnerable to mud splashing on them. ------------------------------- PLEASE NOTE; Supplies are limited, and orders will be scheduled & shipped in the order we receive them, so if you want to plant early, then please place your orders early. We have to be fair to ALL of Our Customers. WEATHER: Your Current Shipping Status could be delayed at any time due to weather conditions, this could also include shipments to southern locations. The weather all across the US this year has been very unpredictable, if for any reason there is a chance that your products could be effected during transport, the shipment will be held until the conditions are more favorable. If you have any questions about this product by Jack's Back 40, contact us by completing and submitting the form below. If you are looking for a specif part number, please include it with your message.